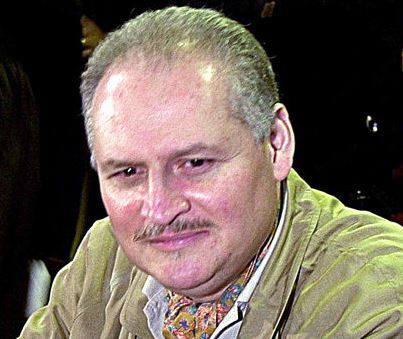 PARIS (AP) — Once the world’s most-wanted fugitive, the man known as “Carlos the Jackal” appeared in a French court Monday for a deadly 1974 attack against a Paris shopping arcade, a trial that victims’ families awaited for decades. The Venezuelan-born Ilich Ramirez Sanchez is accused of throwing a hand grenade from a mezzanine restaurant onto a shopping area in the French capital’s Latin Quarter. Two people were killed and 34 injured at the trendy Drugstore Publicis. Known worldwide as Carlos, the 67-year-old is already serving a life sentence in France for a series of murders and attacks he has been convicted of perpetrating or organizing in the country on behalf of the Palestinian cause or communist revolution in the 1970s and ’80s. As the trial opened Monday, Carlos denounced it as a “gross manipulation of justice” 42 years after the attack. He has denied involvement and pleaded innocent. Asked to state his profession before the court, he called himself a “professional revolutionary,” and said “I’m doing fine” in prison — after more than 20 years behind bars. If convicted in the trial, which lasts through March 31, he could get a third life sentence. Carlos, already convicted of terrorism in 2011, is charged this time with multiple first-degree murders in relation with a terrorist enterprise, and the trial is being held in a special terrorism court. At the time of the 1974 attack, he was 24 years old and already had joined the organization Popular Front for the Liberation of Palestine, but hadn’t yet achieved worldwide notoriety. When police arrived at the scene of the attack, they found a devastated mall with all the windows shattered, multiple bloodstains and a hole in the marble slab of the ground floor where the grenade fell. The two men who died were hit by metal chips that perforated vital organs and caused internal bleeding, according to court documents. His long-time lawyer, Isabelle Coutant-Peyre, claims that none of the witnesses had described a man resembling her client, and that the whole case was trumped-up. The case took so long to go to trial because it was first dismissed for lack of evidence before being reopened when Carlos was arrested and imprisoned in France. His lawyers repeatedly argued against holding a trial, arguing the attack was too long ago and that it won’t make a difference for Carlos, already in prison for life. The attack’s victims, however, are relieved. “The civil parties demand justice,” said Georges Holleaux, lawyer for the widows of the two men killed in the attack and other civil parties to the case. The case is being heard by a special court made up of professional judges and with no jurors, as is the custom with terrorism trials in France. An Arab language news magazine in France, Al Watan Al Arabi, published a long interview with a man it identified as Carlos five years after the attack. He allegedly claimed he had personally thrown the grenade into the restaurant, described the full details of the operation and explained why it was carried out. Carlos later disputed he had given the interview. A year after the Drugstore Publicis attack, Carlos sprang to global recognition in the 1975 hostage-taking of OPEC oil ministers. Intelligence agencies later linked him to the 1976 Palestinian hijacking of a French jetliner to Uganda, and other hijackings, explosions and deaths throughout the Cold War. Carlos was arrested in Sudan and whisked to France in a sack by French intelligence services in 1994, after a dramatic sting.